Outside of ghost-hunting, Delusion is the closest thing you’ll find to being a character in your own horror movie. Well, unless you’re someone like Jamie Lee Curtis… but you get the idea, right? The annual interactive-horror-theater experience is presented by Hollywood stuntman Jon Braver and co-produced by Neil Patrick Harris (NPH if you’re hip, yo) and it’s our favorite Halloween-time event. 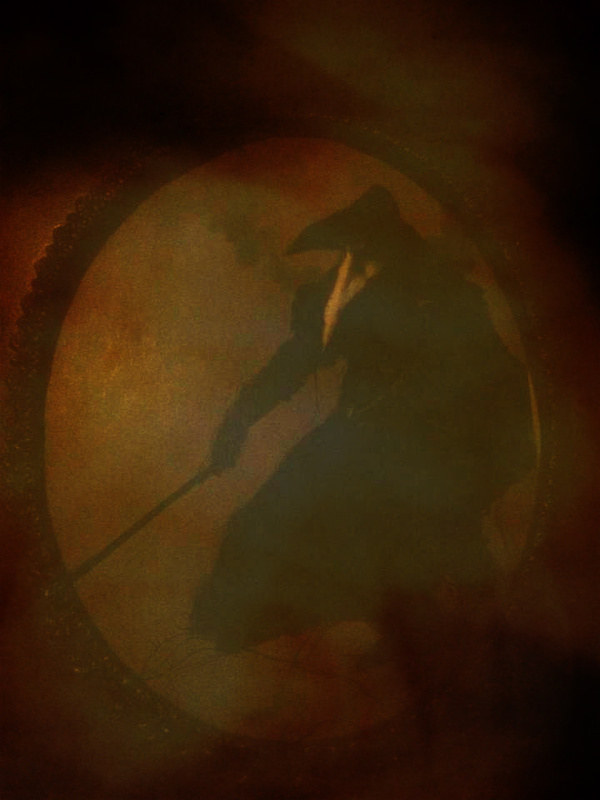 This year’s iteration, “Masque of Mortality,” draws you into a nightmarish world where a weary band of stragglers battles to ward off a deadly plague whilst avoiding the grasp of an ominous group of entities known as The Doctors. The event takes place inside a beautifully creepy old church in Silverlake – the perfect setting for a night of spooky fun. Rather than waiting in line, ticket-holders are welcomed to take refuge in a comfortable, atmospheric lounge area. I suggest you explore a little here as the Lounge is dotted with some fun clues here and there that offer a slight glimpse of the fate that awaits you (no photos/phones allowed beyond the Lounge). 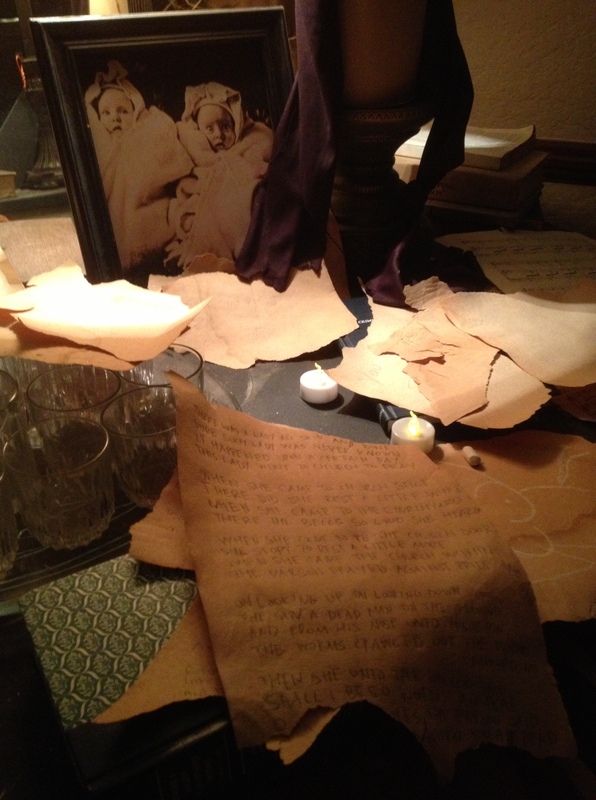 Once the show begins, well-dressed sets, eerie lighting and engaging performances work together to completely immerse you in this spooky tale, where you actually become a part of the story as you are asked to engage in a variety of actions and tasks in order to help move the narrative forward. 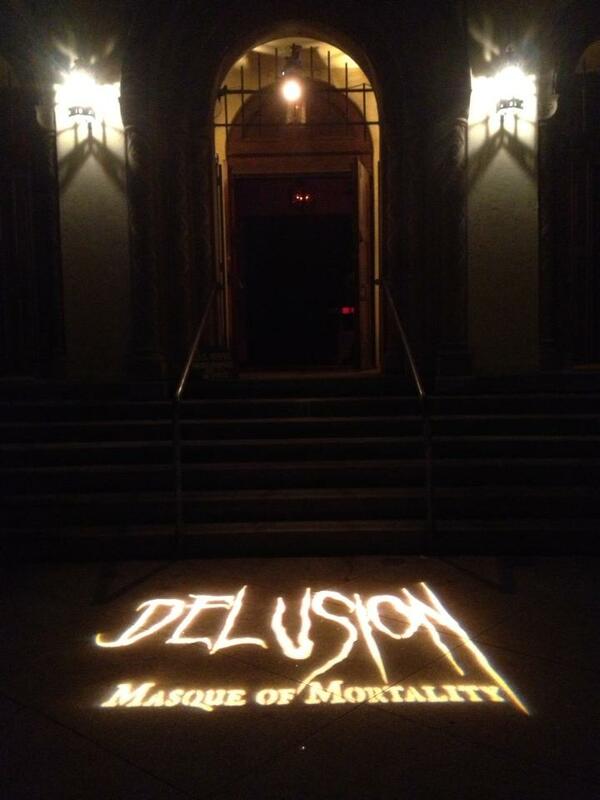 With plenty of surprises around every corner, Delusion: Masque of Mortality will engross, entertain and of course, scare you. It’s a definite must if you’re a lover of theater, horror films, haunted attractions, spookiness, the plague or old churches in general. It’s one of those special Los Angeles events that will make you feel lucky to live here. Go alone or with a group of up to 10 friends. Either way, you must go!